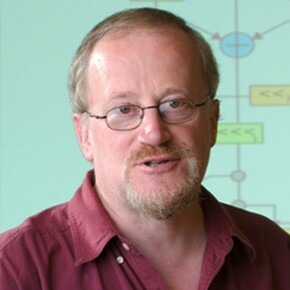 Ross Anderson is Professor of Security Engineering at Cambridge University. He is one of the founders of a vigorously-growing new academic discipline, the economics of information security. Ross was also a seminal contributor to the idea of peer-to-peer systems and an inventor of the AES finalist encryption algorithm “Serpent”. He also has well-known publications on many other technical security topics including hardware tamper-resistance, medical record systems and smart meters. He is a Fellow of the Royal Society, the Royal Academy of Engineering, the IET and the IMA. He also wrote the standard textbook “Security Engineering – a Guide to Building Dependable Distributed Systems”. Economics and psychology of information security – including security and human behavior. Peer-to-Peer and social network systems – including the Eternity Service, cocaine auctions and suicide bombing. Reliability of security systems – including bank fraud and hardware hacking. Robustness of cryptographic protocols – including API attacks. Analysis and design of cryptographic algorithms – including Tiger and Serpent. Information hiding – including Soft Tempest and stego file systems. Security of clinical information systems – including NHS databases. Privacy and freedom issues – including FIPR.